Your Temecula Dentist Now Offers Six-Month Adult Braces that are Affordable, Fast and Easy. Promenade Dental Care is proud to announce that it is now offering a quick and effective alternative to conventional braces called Six Month Smile. 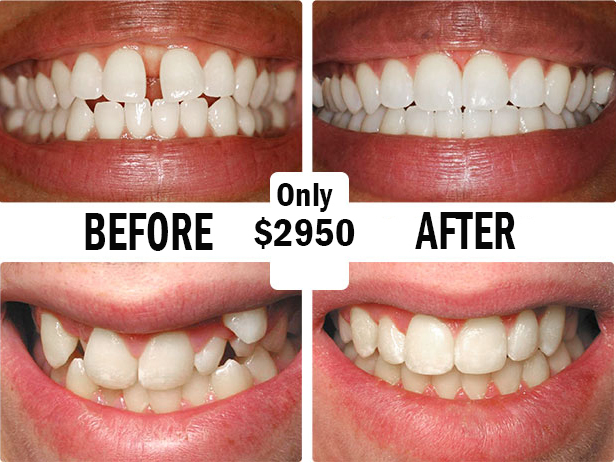 The average cost of a Six-Month Smile program is $3,900 but Promenade Dental Care is offering this at an incredibly low price of $2,950. Just give them six months and you too can smile and laugh with confidence. Call now for a consultation at (951) 296-3011. Traditional braces would involve moving both front and back teeth and may even require some extractions. It also typically last about 2-3 years and costs an average of $5,000. Invisalign is another alternative but it requires you to wear a series of plastic trays for about 16-18 hours a day for a period of 12-18 months. It is also quite costly with an average cost of over $5,000. Six-Month Smiles only focuses on the front teeth so it offers quick results and minimal discomfort. It also uses tooth-colored brackets and wires to straighten teeth and close gaps. This program typically gears toward adults who want straight front teeth and don’t want to spend two-plus years in braces. It also costs less than traditional braces and Invisalign. Call your Temecula dentist now for a consultation for Adult Braces at (951) 296-3011.